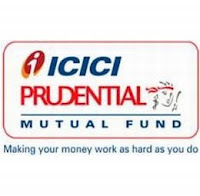 ICICI Prudential Mutual Fund has declared dividend under the dividend option of ICICI Prudential Income Opportunities Fund. The quantum of dividend will be Rs 0.0532 per unit under Retail Quarterly Dividend option and Rs 0.0549 per unit under Institutional Quarterly Dividend option as on record date. The record date for the dividend payout has been fixed as November 24, 2011. The scheme recorded NAV of Rs 10.5512 per unit under Retail Quarterly Dividend option and Rs 10.9002 per unit under Institutional Quarterly Dividend option as on November 17, 2011.